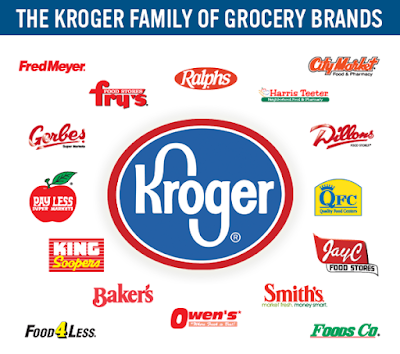 The Kroger Co. (KR) is the world’s largest supermarket chain with more than 2,700 stores in 35 states. The company has done well merging with other grocery retailers such as the Harris Teeter merger in 2014 and has made great strides towards becoming best in breed for the grocery industry. Grocery store chain operates its namesake brand, as well as Ralph’s, Fred Meyer, Food 4 Less and other branded grocery chains. Shares of Kroger have doubled over the past three years, while the S&P 500 has risen just 26%. Projected to see revenue rise 5.5% to $34.88 billion. Offers investors a 1.5% dividend yield helping protect from downside movement. The supermarket industry in on the verge of a major shift thanks to Internet of Things (IoT) and Kroger is ideally positioned to take advantage. The company is already known for incorporating new technologies into its business plan being the first grocer to test an electronic scanner. But it's not just technology that Kroger is adapting to - it's changing consumer preferences. Americans, Millenials in particular, are demanding more authentic food options preferring fresh and organic to cheap and manufactured. Supermarkets like Whole Foods are becoming more popular and Kroger has already identified this change and is quickly becoming the grocer of choice for consumers who are looking for a more upscale selection. 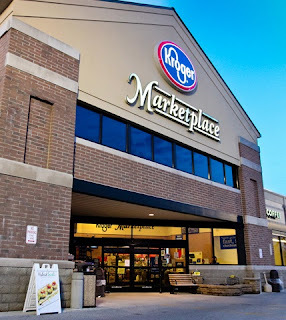 Kroger continues to expand its Simple Truth natural and organic foods line, which as of late 2015 accounted for $11 billion in revenue. It’s trying to counter intense competition in recent years from Whole Foods Market (WFM), Sprouts Farmers Market (SFM) and others catering to the consumer trend toward fresher, more natural foods. Whole Foods Market in June 2015 debuted the 365 by Whole Foods Market store concept, which involves smaller, value-oriented stores targeting millennials. On May 25, Whole Foods opened its latest 365 store, a 28,000-square-foot outlet in the Silver Lake area of Los Angeles. It plans to open 10 more by the end of 2017. Also last month, Kroger launched My 365, a digital loyalty program that gives customers up to 10% discounts.